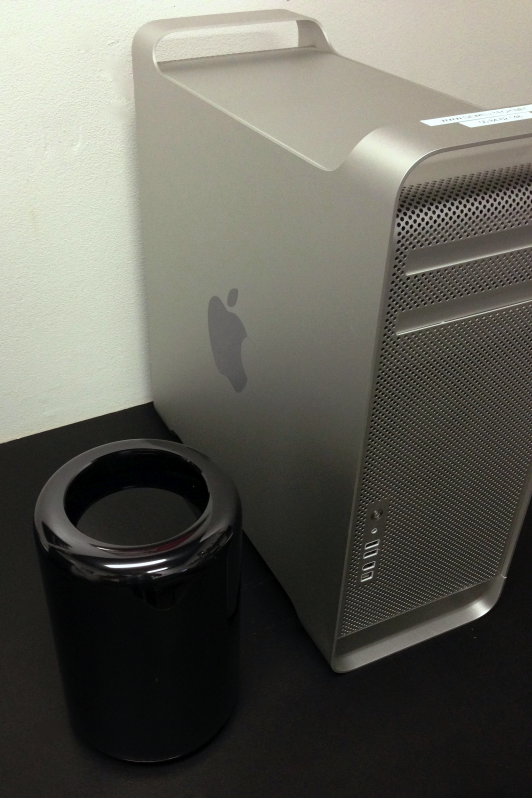 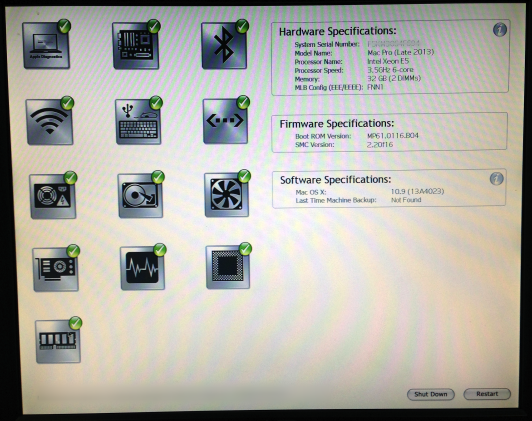 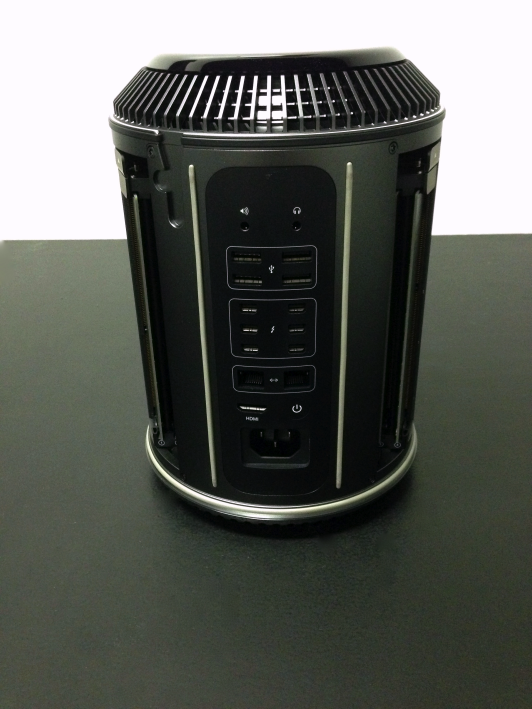 Mac Pro 2013 Hands-on (pictures) - Sewelltech, Inc.
Before you even get the New Mac Pro 2013 out of the box you can already begian to appreciate the attention to detail that Apple is famous for. 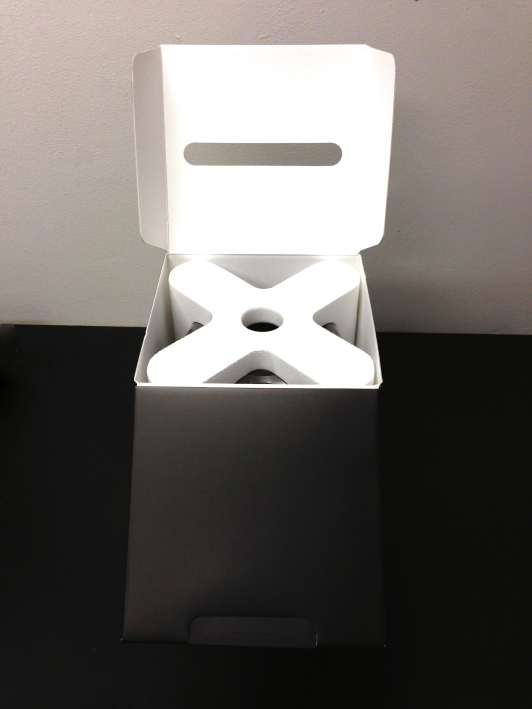 The packaging design and execution is exquisite! 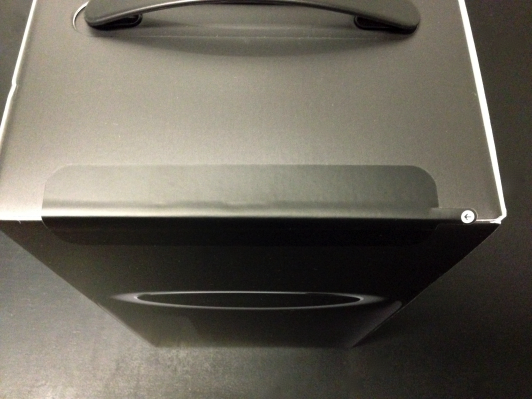 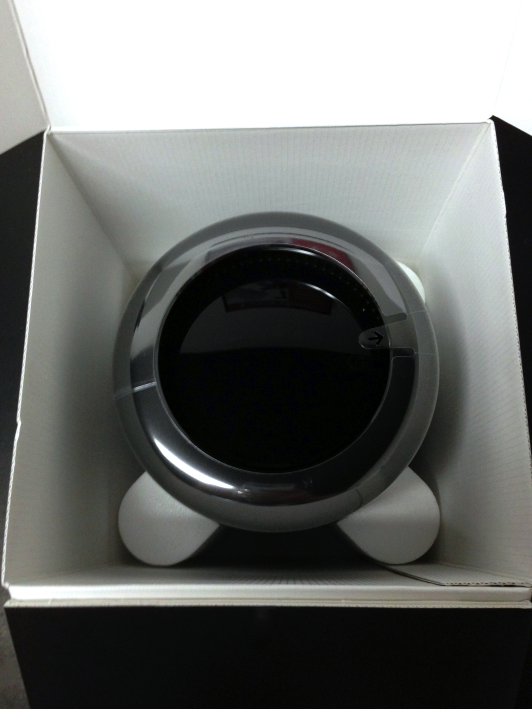 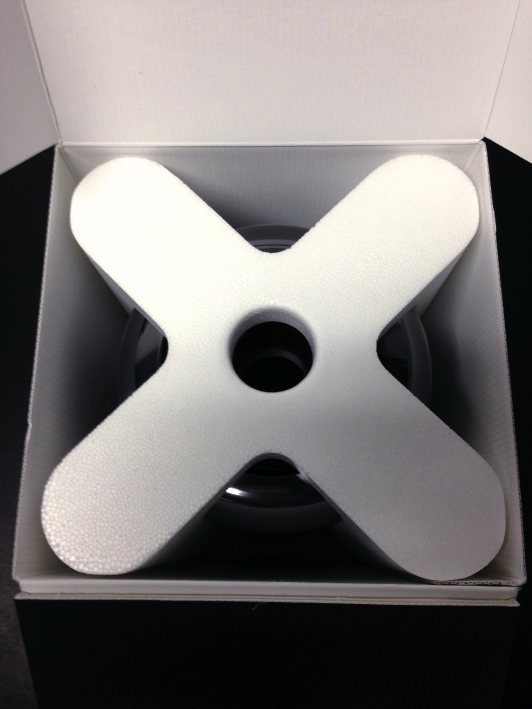 Every detail in the packaging is thought out thoroughly, even the security tape the seals the box. 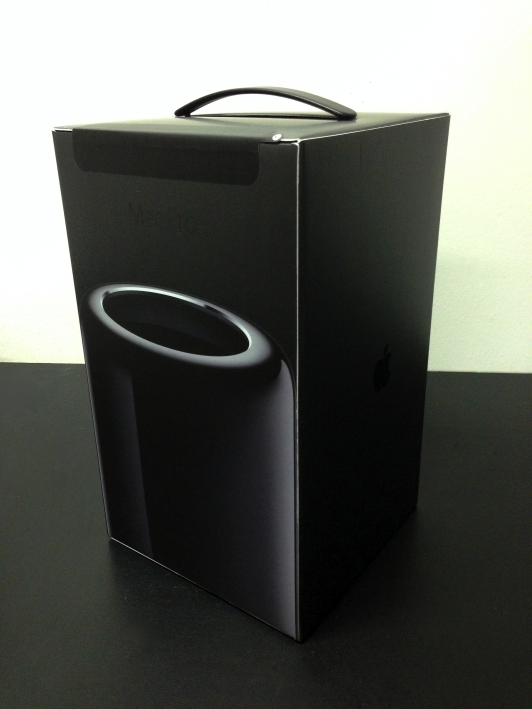 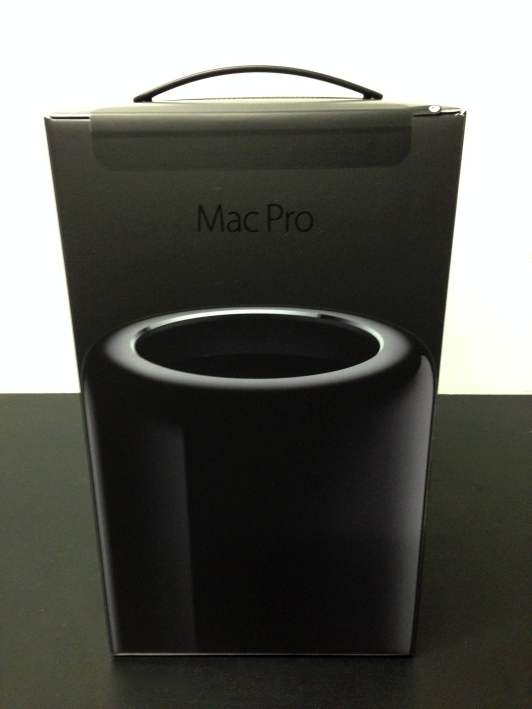 Once you get past the styrofoam packaging the shiny black cylinder awaits you. 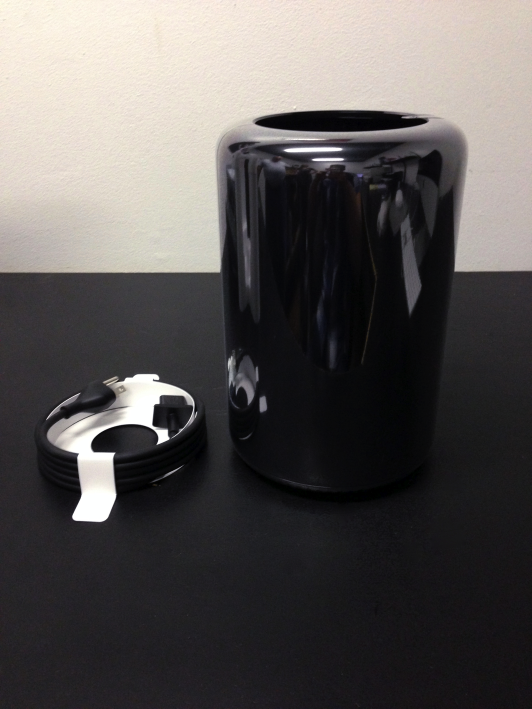 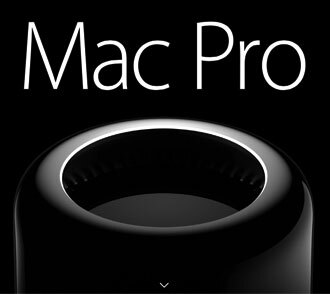 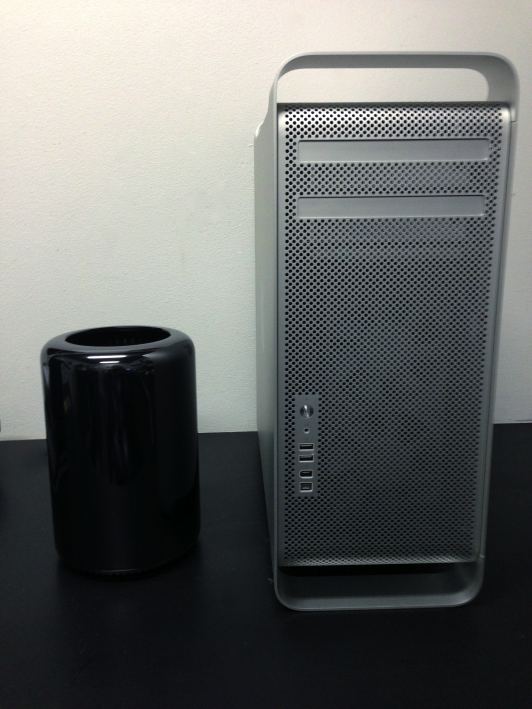 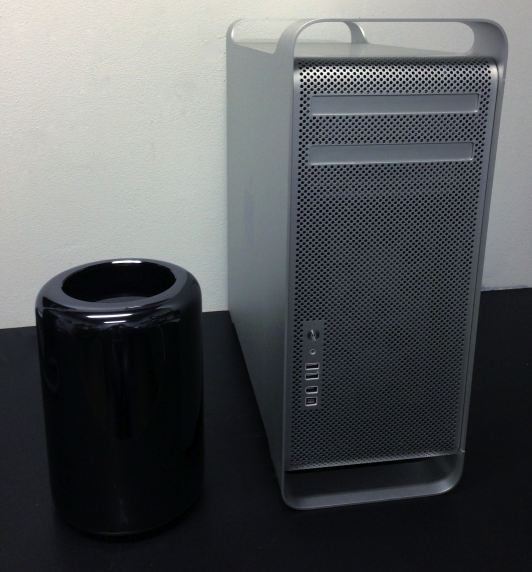 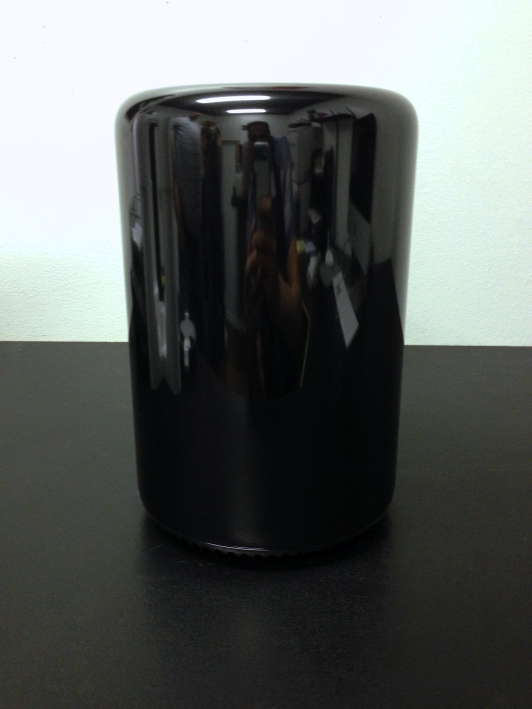 The Mac Pro is a charcoal gray cylinder that stands about 10 inches high and reflects back a distorted, slightly menacing view of the world. 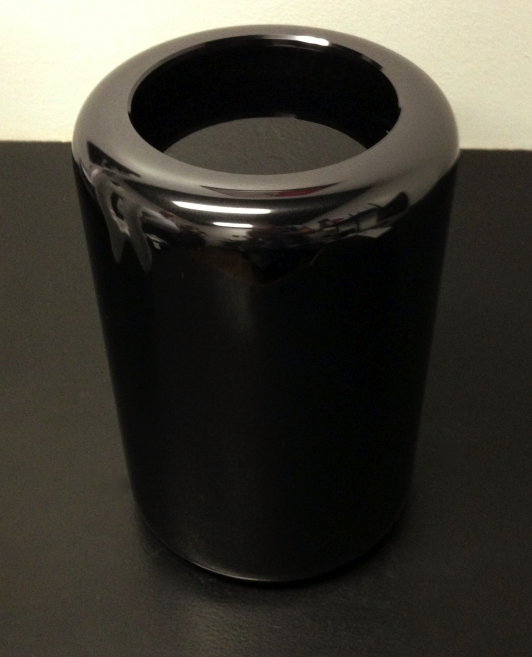 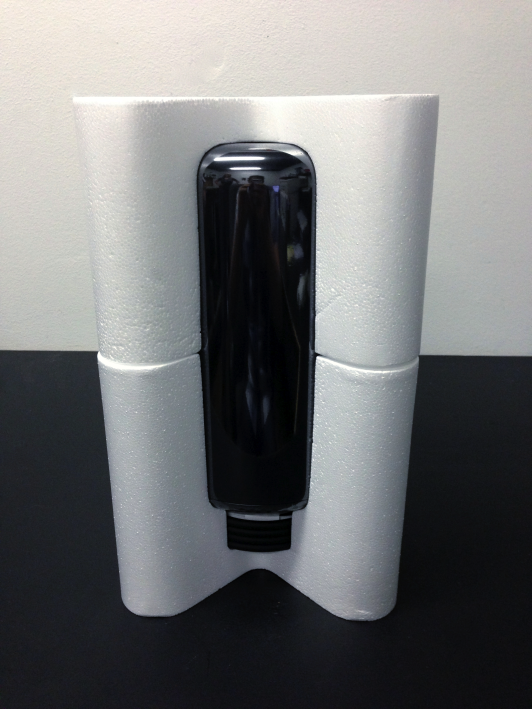 A cutout at the top of the cylinder creates a lip that acts as a handle. 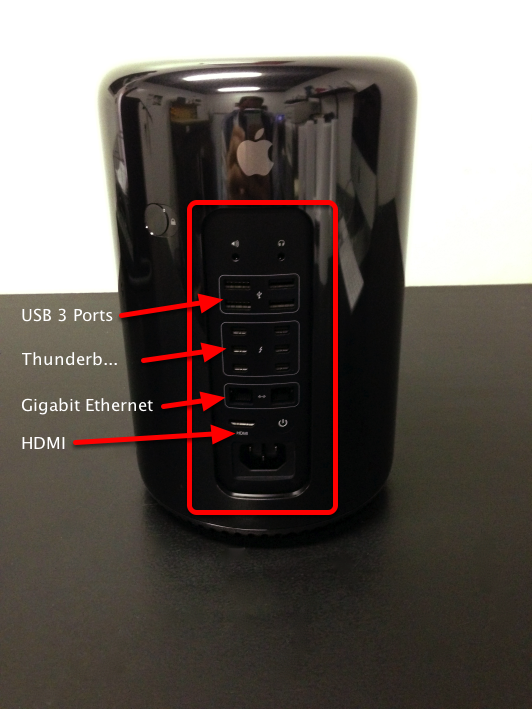 • Two Gigabit Ethernet ports let you connect to multiple networks. 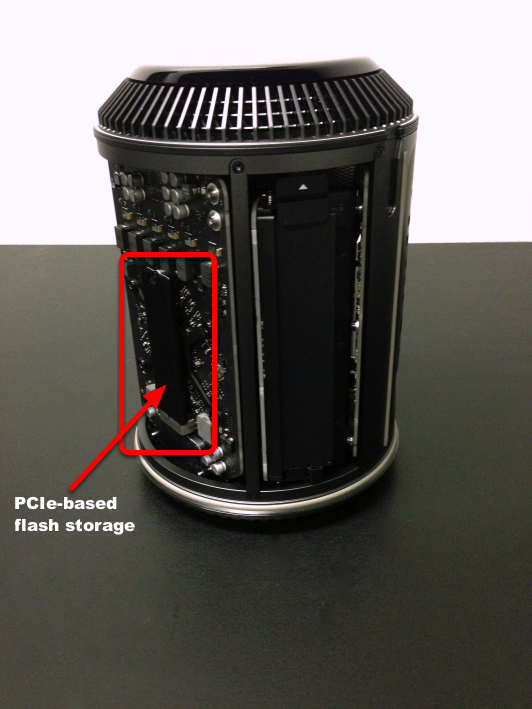 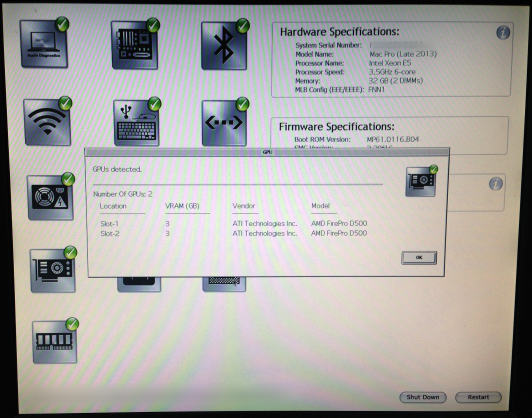 PCIe-based flash storage. 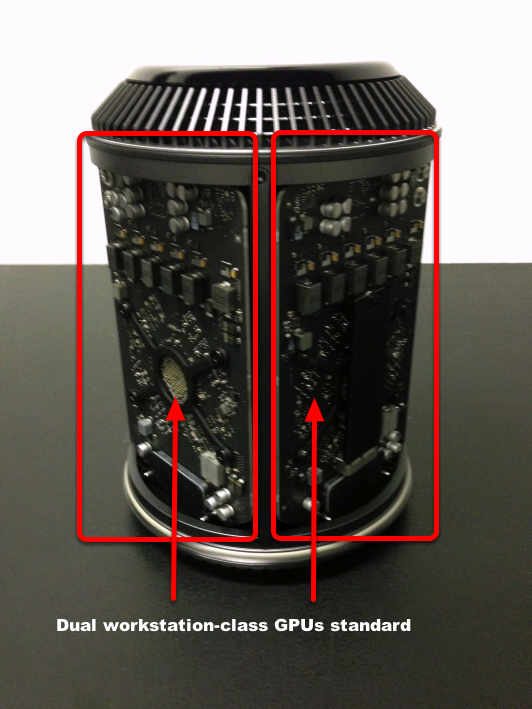 We’re talking storage that’s up to 2.4 times faster than the fastest SATA-based solid-state drive and up to 10 times faster than a 7200-rpm SATA hard drive.